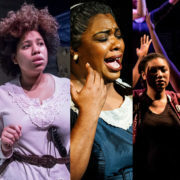 Join Dmae for a one-hour membership drive Black History Month special focusing on three Portland productions about or created by strong women. 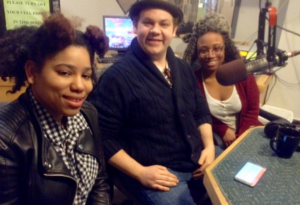 First off we’ll visit with three actors from In the Blood by noted African-American playwright Suzan-Lori Parks produced by Portland Actors Conservatory. 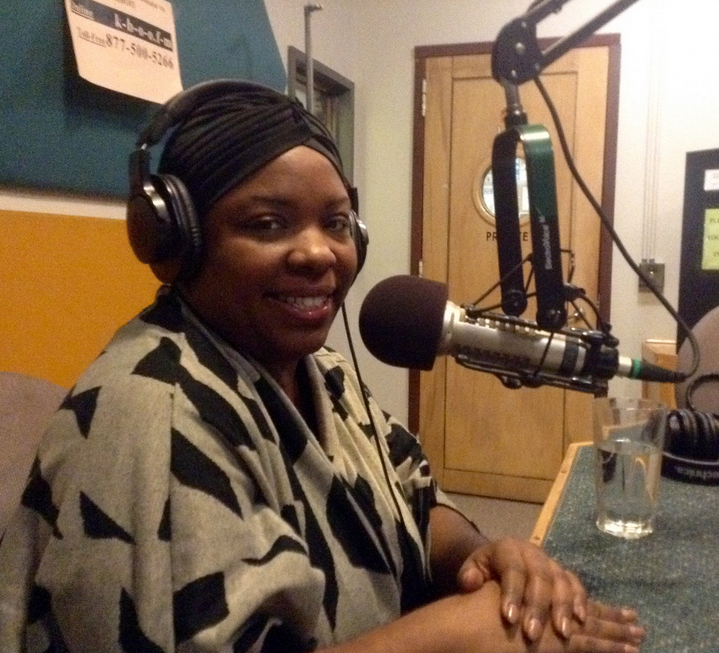 Then we’ll meet Maiesha McQueen starring as famed singer/actress Ethel Waters in His Eye is on the Sparrow at Portland Center Stage. And in the final part of the one-hour special, Shalanda Sims updates us on her yearly Black History Month original stage production of ​​Who I Am Celebrating Me at Concordia College. Please support! 877-500-5266 or join online…We still have tickets for all of these shows available for your KBOO membership contribution! 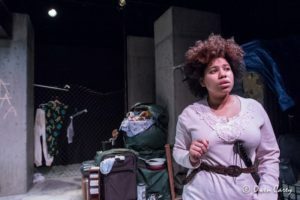 Hester la Negrita is a homeless single mother of five who dreams of finding beauty and love for her family despite her poverty-stricken life. 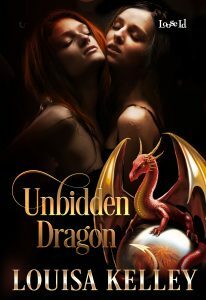 As she struggles to defy the odds, she runs into a series of harsh and unexpected obstacles. 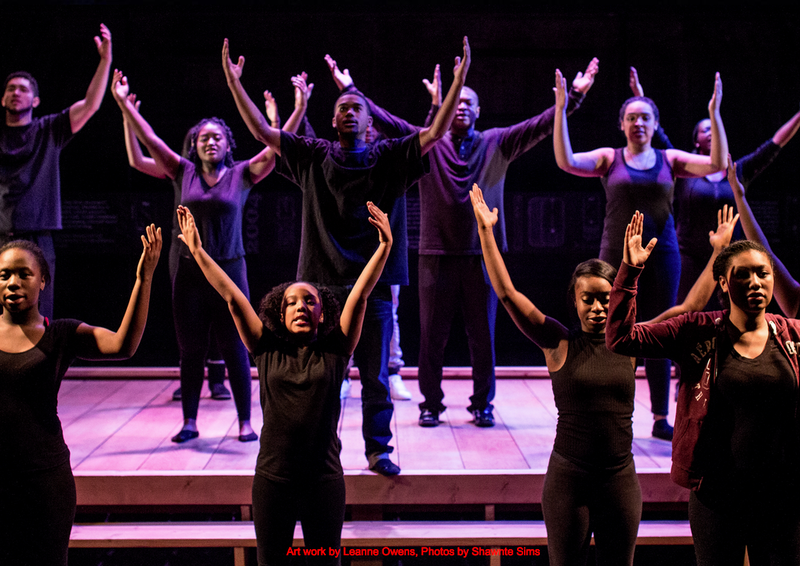 In this modern day riff on Hawthorne’s The Scarlet Letter, Pulitzer Prizewinning playwright Suzan-Lori Parks asks who has the right to the American Dream. 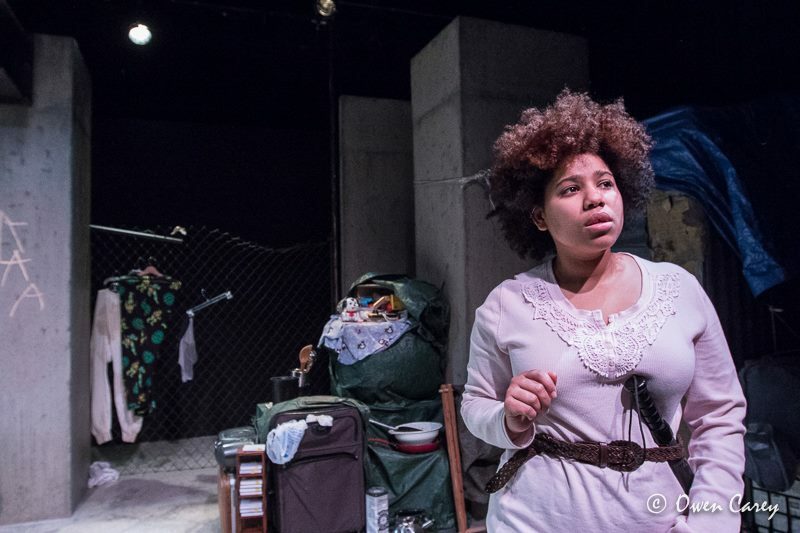 All performances runs February 10-26 and take place at Portland Actors Conservatory’s Firehouse Theatre, located at 1436 SW Montgomery St., Portland, Ore., 97201. This show contains strong language and sexual content. It is recommended for ages 15 and older. More info and tickets available online at www.pac.edu or by calling (503) 274-1717. Ticket prices range from $5-$18. As part of Portland Actors Conservatory’s Arts Accessibility Initiative deep discounts are available to students, seniors, educators and artists. A one-woman musical celebrating the life of Ethel Waters running through March 19th.Showtimes are Tuesday through Sunday evenings at 7:30 p.m. (excluding February 19 and March 5, 7, 14 and 19); Saturday and Sunday matinees at 2 p.m. (excluding February 4, 5, 11, 25 and March 11) and Thursday matinees at noon (excluding February 9 and March 16). Timothy Douglas returns to The Armory to direct the production and Darius Smith makes his debut as music director and accompanist. Maiesha McQueen returns after making her debut at The Armory last season in Ain’t Misbehavin’ to take on the role of Ethel Waters. Regular tickets start at $25. Tickets may be purchased at www.pcs.org, 503.445.3700, or in-person from the box office (128 NW Eleventh Avenue, Portland, OR). Rush tickets are $20. Students and patrons who are 30 or younger can purchase $30 tickets for all dates/times. Showtimes are Tuesday through Sunday evenings at 7:30 p.m. (except. February 19 and March 5, 7, 14 and 19); Saturday and Sunday matinees at 2 p.m. (except February 25 and March 11) and Thursday matinees at noon (except March 16). Recommended for ages 14 and up. Contains mature content and language. More information at https://www.pcs.org/sparrow. ABOUT THE PLAY: After a rough and spirit-breaking childhood, Ethel Waters became a Vaudeville success, a recording sensation and crossed racial barriers to emerge as a Broadway and Hollywood star. 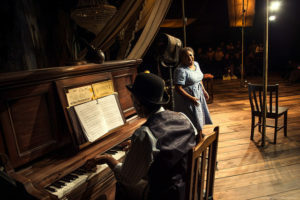 But a reputation for being difficult and her own distrust of those who might employ her or love her — partly a response to the horrors of Jim Crow America — caused her to lose everything and become a recluse, until she found new strength as a gospel performer. MAIESHA MCQUEEN (ETHEL WATERS): Atlanta-based artist Maiesha McQueen returns to The Armory after the 2015 production of Ain’t Misbehavin’. 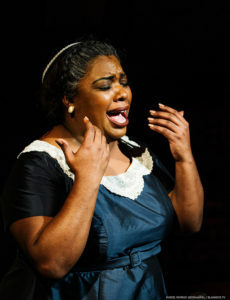 Her regional credits include ‘Da Kink in My Hair (Horizon Theatre); Sirens of Song (Milwaukee Repertory Theater); Chasin’ Dem Blues (True Colors Theatre); Black Nativity (Dominion Productions); In the Red and Brown Water (PG Entertainment); and Little Shop of Horrors, Show Boat, Man of La Mancha and Guys and Dolls (Forestburgh Playhouse). A community of youth and adult artists exploring history through theater. 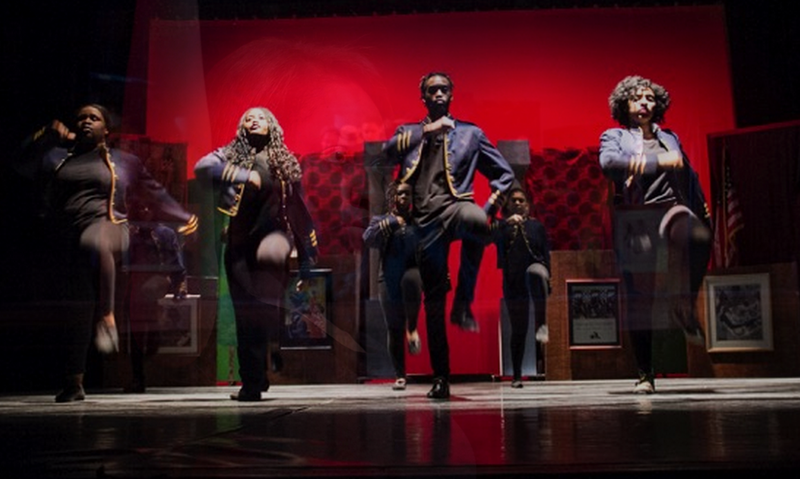 From soul-encompassing singing and dancing to heartfelt poetry and prose, the production highlights a montage of African-American figures and movements of past and present. Formed ten years ago by Shalanda Sims (shalandasims.com) in response to the lack of celebratory events in Portland during Black History month, Who I Am Celebrating Me dared to fill a void. Not only were there little to no events at the time but the topic was not widely discussed in schools so in an effort to educate youth, show them something they could be proud of and celebrate all year long. To date, Who I Am Celebrating Me has helped educate over ten schools, more than 10,000 students, five businesses and their employees about the rich history and contributions of African-Americans.